Today the Counting crows and I ventured out into the forest in search of some magical fungi. I was on the hunt for ingredients for something special to cook up at Samhain. I wove my way though the hills and back-roads, stopping at springs and falls. Following wombat trails and paths overgrown with Raspberry and Hawthorn until I found my prize. I washed my cares away in the cool, crisp spring water and thanked the spirits for the quiet day that let me have this special place all to myself. I spoke to the birds and listened to their song then collected Willow and Oak for charms and amulets. Offerings were left for the spirits of place, bark and mushroom and once I was done I feasted on meat and cheese and herbal tea. The days ahead are filled with tasks, offerings and ritual. A solar-eclipse, two days before Samhain? Watch for spirits to cross early, I think I hear them knocking already. upcycled typo bag to letter, originally uploaded by jen_fripperee. 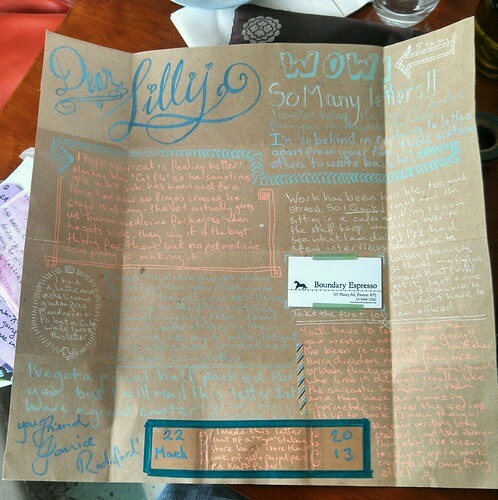 A recent pen pal letter made from an upcycled Typo bag. Letters don’t have to be linear, fill the space, write around corners, make frames for your special message. Be creative! Don’t neglect the things that are all around you for letter materials! I folded this up, put washi around the edges a stamp on the front and you are away! It’s been a crazy few months but I’m back in the swing of things now! Here is a Neon letter that is winging it’s way to Brasil today! I have so many things to share! As part of the Great Planner Plan of 2013 I decided to create a little calendar for you all to download and use. It’s all hand-stamped (yes with my stamps! ), hand-drawn and hand-lettered so it’s a little lo-fi, a little cottage and I hope you like it. All of these are A4 paper size but I believe that it will work for letter just as well! And here are some decals you can print onto sticker backed paper (or just use glue) and use with your calendar! 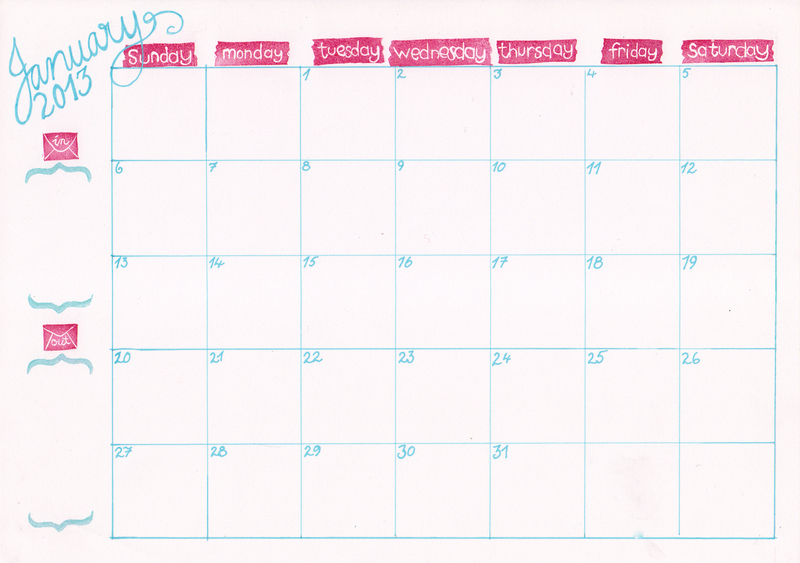 My 2013 planner is well underway, January is all stamped and in use, I have carved days of the week in French and English. And have 31 date stamps! I’ll share an update on the planner in the next post! We did actually have chicken for dinner yesterday, and arancini, spinach & fetta parcels, a dutch salad and dumplings (yes we have a very multicultural Christmas) but it’s Boxing Day here in Australia and it’s time to announce a winner of my little give-away. Congratulations Erin! I’ve sent you an emails so if you haven’t received it please check your spam folder! A set of my hand carved stamps will be winging their way to you shortly! BTW Erin blogs over at the super-rad Charlie Foxtrot so you should all pop over there and check it out! I haven’t promoted this blog in a very long time and there is just such a wonderful community out there right now that I would be mad to miss this opportunity! 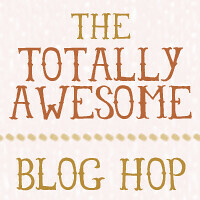 Chantilly, Charlie Foxtrot, this enchanted pixie & Myki’s Scrapbook blog are hosting a bl0g hop, so I will have many more blogs to add to my wonderful reading list! To celebrate 150 posts on my blog I’m going to have a little give away! If you follow or subscribe to my blog before midnight Christmas eve ( Australian Eastern Standard time) you will go into the draw for a mystery set of hand carved Stamps by me! Competition is open to readers anywhere in the world. 1. Follow My Blog via email or subscribe in your favourite rss reader. 2. Leave a comment letting me know you have done this! make sure you leave some way for me to get in touch with you! 3. do this before midnight 24 December 2012 AEST time. 1 entry per person. open internationally. 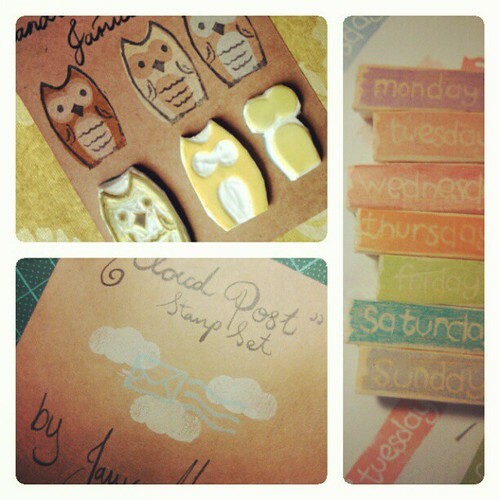 prize is 1 set of handmade stamps created by moi! design at the discretion of moi!